The highest-scoring graduates from their respective field of training were honoured at Fiege in Greven. Executive Board member Jens Fiege (5th from left) and Head of Strategic Human Resources, Martina Schlottbom (2nd from right) honoured the top-scoring graduates in 2016, as well as their training supervisors: (from left) Susann Mosig, Bettina Pick, Tatjana Golbik, Robert Beier, Ali Buran, Andrea Redenius and Maximilian Eden. Five people will be trained to acquire qualifications as a logistics manager, and two others will be trained to become specialists for warehouse logistics. The branch manager, Dirk Brocks, the head of logistics, Conny Schmidt and the head of personnel, Petra Puers showed the new employees through the facility after welcoming them. In Marklkofen, Dominik Steindl (l) was the first trainee to take up work at the location. The 15-year old will become a warehouse logistics specialist. The branch manager, Johannes Hertle welcomed the new employee, who is from the area. The first trainee at the Mönchengladbach location passed her exam successfully this year. Isabella Rixmann (2nd from right) went through all important departments of the fashion branch during her training. The 24-year old got to know incoming goods, order picking and packaging as well as outgoing goods. Isabella Rixmann also underwent training for customs clearance as well as quality and environmental management. 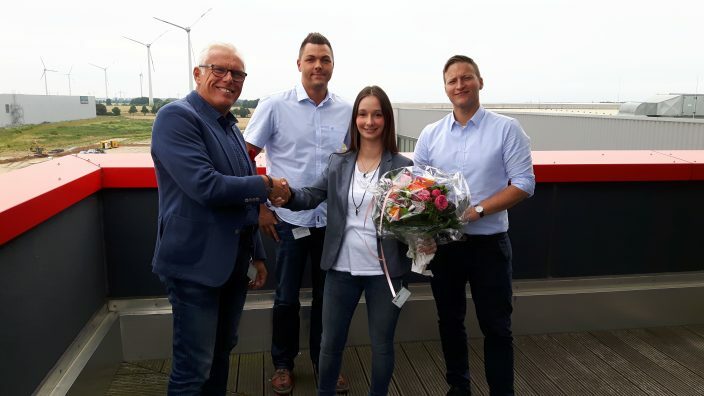 The branch manager, Herbert Marquart (front left), the training supervisor Marco Hartjes and the warehouse operations manager, Christoph Schiele congratulated Isabella Rixmann. Two young people are currently undergoing training at the Mönchengladbach facility. 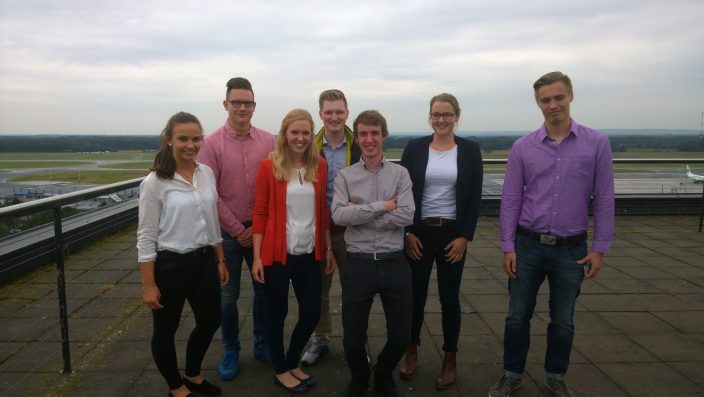 20 new trainees and students have started with Fiege in the city of Worms. The young people will receive training in six different professions, or are participating in an Integrated Degree Programme. At the industrial facility in Worms, a total of 60 young people will be trained. 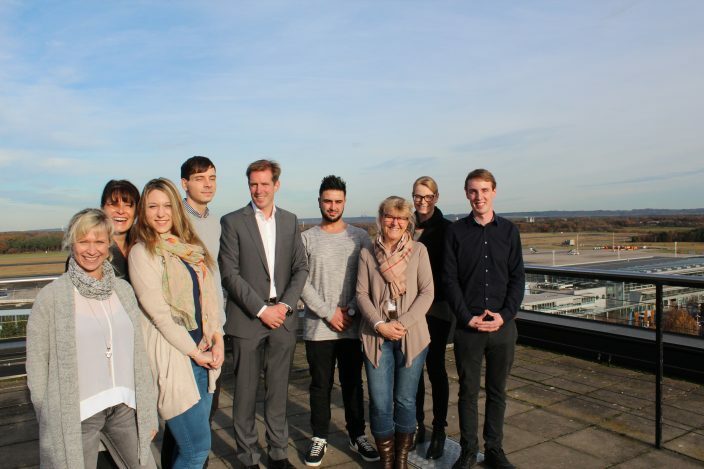 Michael Suden (r), Managing Director Industry, welcomed the new trainees on their first day. Greven, 14th December 2016. The five highest-scoring trainees in 2016 at Fiege Logistik have been honoured at System Headquarters in Greven. 84 young people completed their training at Fiege in 2016. Tatjana Golbik (Greven), Maria Babina (Hamburg), Ali Buran (Dortmund), Robert Beier (Dresden) and Maximilian Eden (Greven) reached the highest scores in their respective final exam taken before the Chamber of Industry and Commerce (IHK). A reception was held for them and their training supervisors in Greven, where they met with Executive Board member, Jens Fiege and Martina Schlottbom from HR, to accept a gift. Fiege Logistik still boasts high retention rates. Of the 84 graduates, 57 per cent were taken on. And even the five highest-scoring trainees will continue their employment with Fiege. 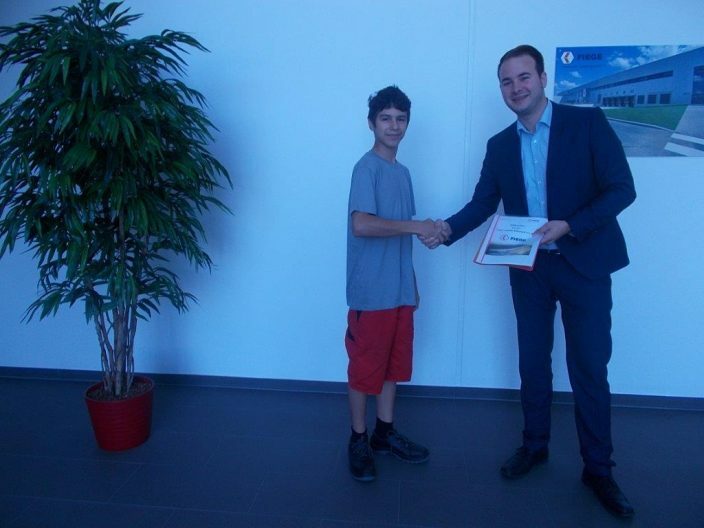 Ali Buran, a warehouse clerk, has extended his training by a third year to become a warehouse logistics specialist. Tatjana Golbik, who had the highest score in her final IHK exam, joined Accounting and intends to continue her education in this field to become a business management graduate. Robert Beier, Maximilian Eden and Maria Babina, who could not join the tribute due to illness, will also remain with the company. The next class has already started its training at Fiege. Fiege recently added 105 new trainees to its workforce. Starting 14th December, 267 young people will undergo vocational training at Fiege – a figure that exceeds the number of graduates from the past three years. “This is a wonderful development; we last had over 100 trainees in 2011 “, says Bettina Pick, personnel developer at Fiege. Fiege trains young people in 15 different industrial and commercial trades. 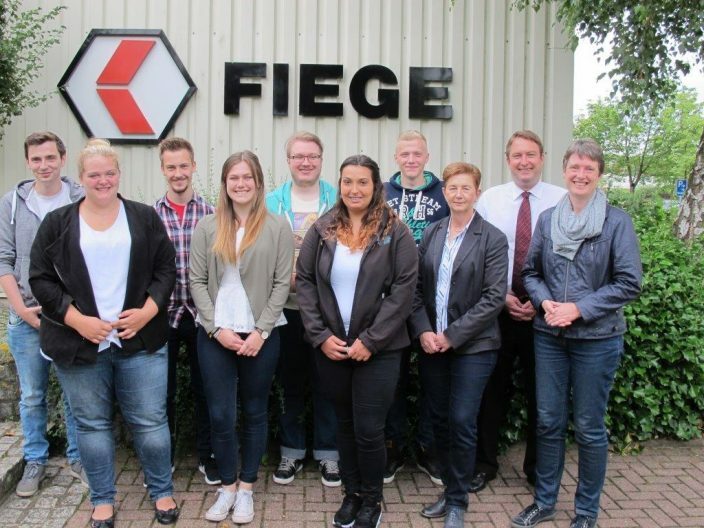 “We train people even beyond classic logistics-based professions: for example, as IT specialists or insurance salesmen”, says Bettina Pick, and adds: “It may even be a little unusual that we offer vocational training for a career as a body and vehicle mechanic at Fiege tec in Reckenfeld.” Also, 27 young Fiege employees are participating in an Integrated Degree Programme. “This diverse offer for young people would not be feasible without the many dedicated training supervisors within our Group”, said Jens Fiege during the graduation ceremony and thanked the training supervisors who had travelled alongside the five highest-scoring IHK graduates. The instructors Wolfgang von Dein (Hamburg), Andrea Redenius (Dortmund), Bettina Pick (Greven) and Susann Mosig (Media Logistik Dresden) also received a gift.